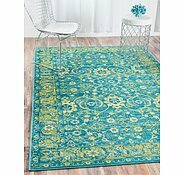 5' x 8' Istanbul Rug is rated 4.8 out of 5 by 44. 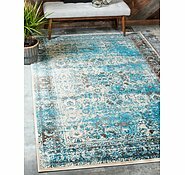 Rated 4 out of 5 by LizzyJ from Very happy with all my rugs I'm very happy with all my rugs and the they arrived here to me in Queensland, Australia within a week from America! I would like to add however, you really must choose very carefully when you place your order. I wanted to change one of my rugs and called customer service (in America) and waited on the phone for 45 mins only to be told to leave a message. I decided in the end not to attempt to exchange anything because I realized I was actually calling America and that the order may have already been activated and near impossible to change. As it turned out I'm still happy with my choices ... fortunately! I'd buy from AURugs again for sure. 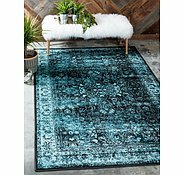 Rated 4 out of 5 by Renee123 from I brought the matching rug and hall runner, I thought the colour was a little different from what I purchased on the internet but overall I’m happy with my purchase. 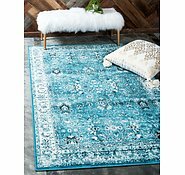 Rated 5 out of 5 by Traceb from Beautiful Rug! Love love LOVE my rug!! Beautiful quality & just as pictured. Service and delivery - perfect! Rated 5 out of 5 by Katrina GC from Extremeley Happy We are extremely happy with the rug. We struggled to find a square rug in the stores and were thrilled to find such a large variety to choose from. 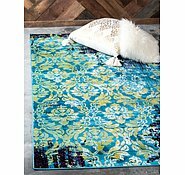 The rug is soft underfoot and good quality. 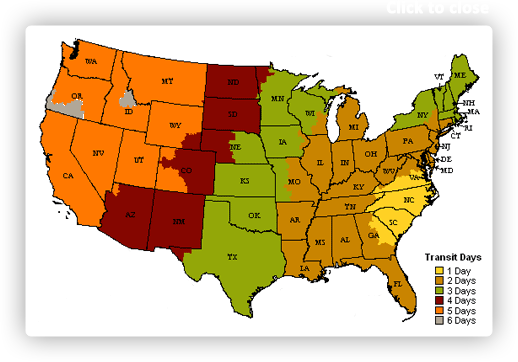 The delivery was fantastic and we knew exactly when to expect the delivery through the tracking. Thank you and we will definitely be purchasing our next rug here. Rated 5 out of 5 by RoshyPoshy from Fantastic rug - genuinely! 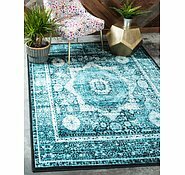 I have just moved house and I'm trying to decorate on a budget and honestly this rug is FANTASTIC. It's very soft and lush and ties my living room together beautifully. For $139, seriously, you can't go wrong and it arrived at my house within 5 days from America (I'm in Oz). Truly, you can't go past this website it's such great value and there is such a huge range you can't go wrong. I'm about to buy another large circular rug for my bedroom, that's how impressed I have been. 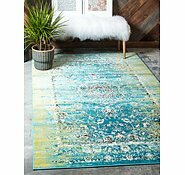 Rated 5 out of 5 by Tors from Beautiful and practical I love this rug. The patterns are really oriental and the colours are very soothing both of which suit my bedroom decor perfectly. 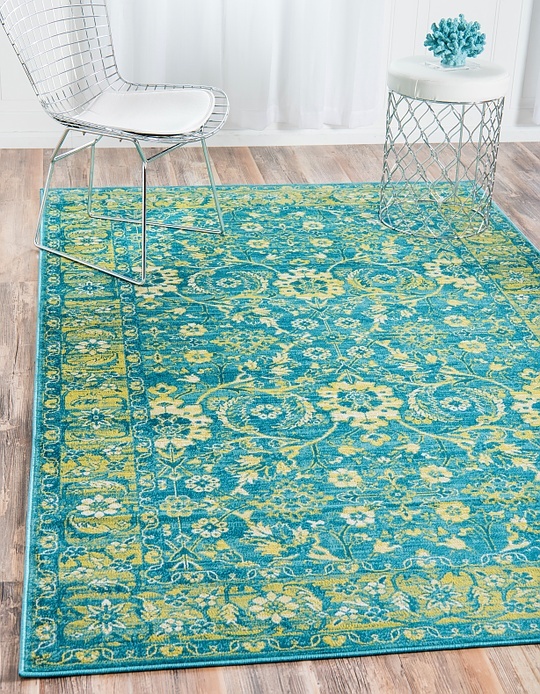 All of our rugs are processed and shipped within 24-48 hours from your purchase date. Typically, deliveries to Australia will arrive in 4-6 business days. the width will be 13 feet. This rug is 1/2&quot; thick. I am interested in the Himalayan rug but not sure about the pad. 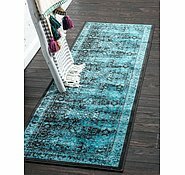 I will be using the rug in the dining room so which pad should I opt for? Thank you.